holy tarnation!!! i did it!!!! i followed a pattern and i made a skirt with a zipper in it!!!! (the skirt was made from the thrift store find sheets that i got for $1) if i wasn't a good girl who goes to church regularly i would be swearing like a drunken sailor out of jubilee! i feel like i can actually *try* and make that cute little dress for the little one that i've been holding onto the pattern for oh i don't know how long because i would get hives and start getting the sensation to hurl whenever i thought about following the pattern...but i think i can attempt it now...i mean it says "easy" on the pattern... oh dear heavens where's the trash can!!! i can do it i can do it i can do it...can i do it? congratulations! you did it! now you have opened a world of sewing opportunity! yay! 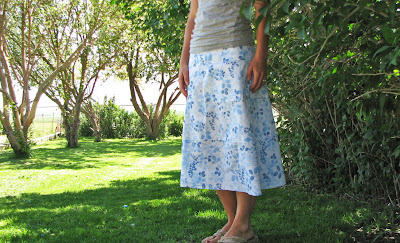 I like the skirt-maybe I will have to get that pattern for my next project! yay! i told you that you could do it. her instructions on the zipper made it so much EASIER!!! i would suggest copying them and keeping it on file. and you can totally make an EASY dress!!!! yay! i'm so proud of you!!! Vnesaa, you can do ANYTHING! Zippers? A breeze with a little practice. Go for it, each time will be easier. And ask yourself...waht is the worst that could happen? 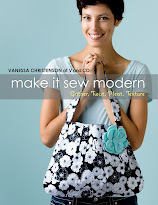 Take out the seam ripper and try again. No biggie...really! So cute!!! Maybe someday I'll have to attempt the dreaded zipper. I still have nightmares from jr. high sewing class. Very flattering! Or maybe it's just cause you are so tiny. Really though, so cute! horray for patterns, once you try you cant stop! did that little flat stomach really pop out 4 children??? you cute little thing that skirt is darling. i'm proud of you for daring to do the zipper! Can I come learn from you on my way to Idaho? You've come a long way grasshopper! Way to go! Looks like you guys had a blast at the show...you all deserved it! And that picture in the paper...They could have done better, but a wife with her son on her shoulders crying...would have been hard to beat that one. I think it's sweet and if I were living in Utah I would cut it out of the paper and hang it on my fridge because I'm so proud to have you as a friend!! te amo mucho! haha...yeah that tummy did birth 4 kids...and it's not as flat as it seems, all i got to say is that thank heavens for clothes...it hides some sagging. I love, LOVE the skirt. 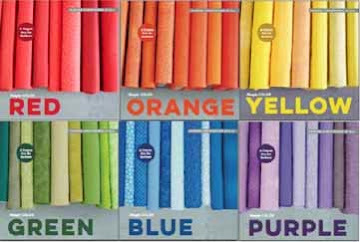 I need a good skirt pattern like that as skirts are my favorite thing to wear in the summer time. I love that you got the fabric at a thrift shop too- what a good idea. Extremely cute!! Patterns can be intimidating but once you learn the "language" it gets better! I only do pajamas! so very pretty!! and what a great blog , may i add!